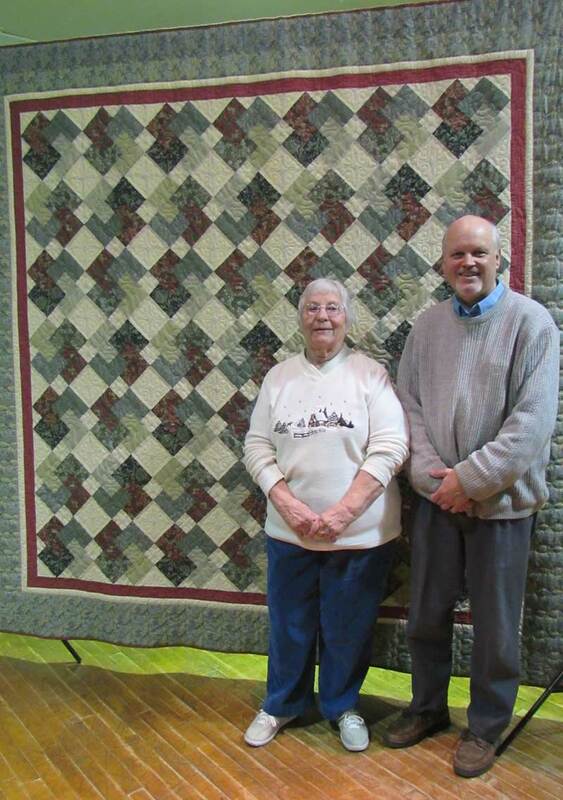 This winner of the 2016 Heritage Quilters quilt was Christine Bieniek of Crystal Lake. 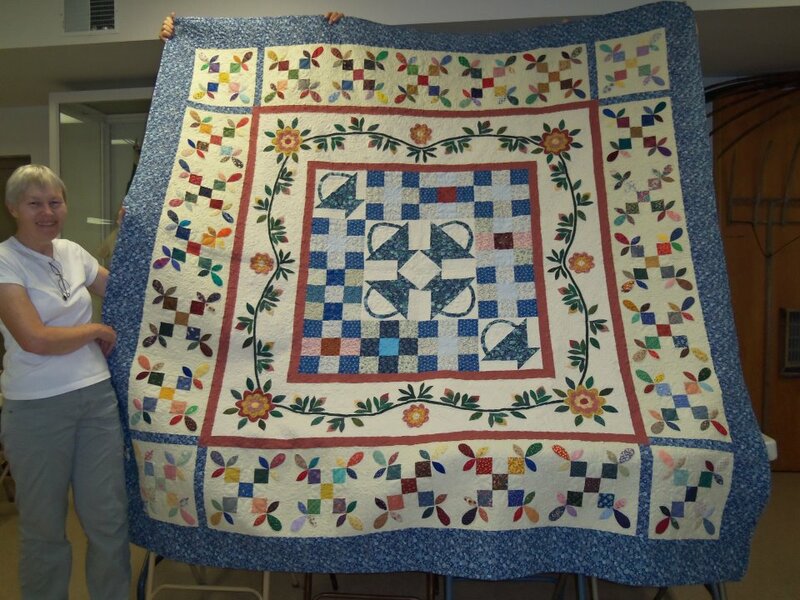 A long-time quilter, Christine was left nearly speechless after Holly Scott – to whom the quilt was dedicated – drew her name. 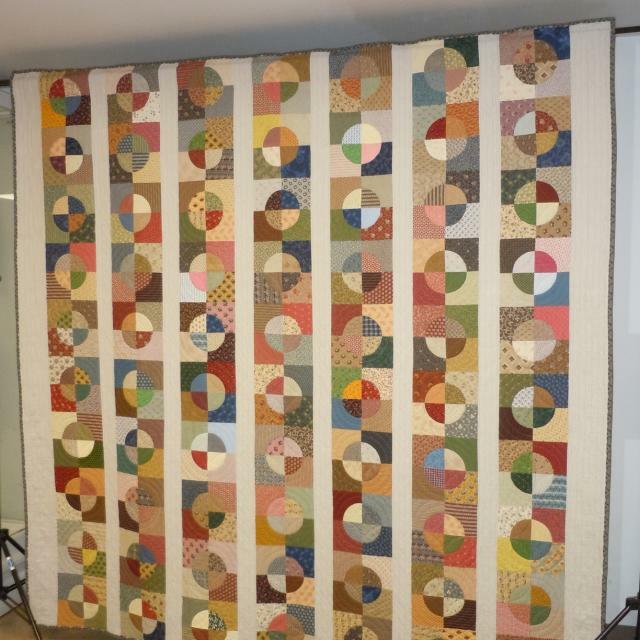 This quilt, named “Pieceful Garden”, lives up to its name – it consists of a whopping 856 pieces creating 72 blocks and around the center. Early quilts often had many scraps of coordinating fabric, and this was the norm during the Depression and 1930s. 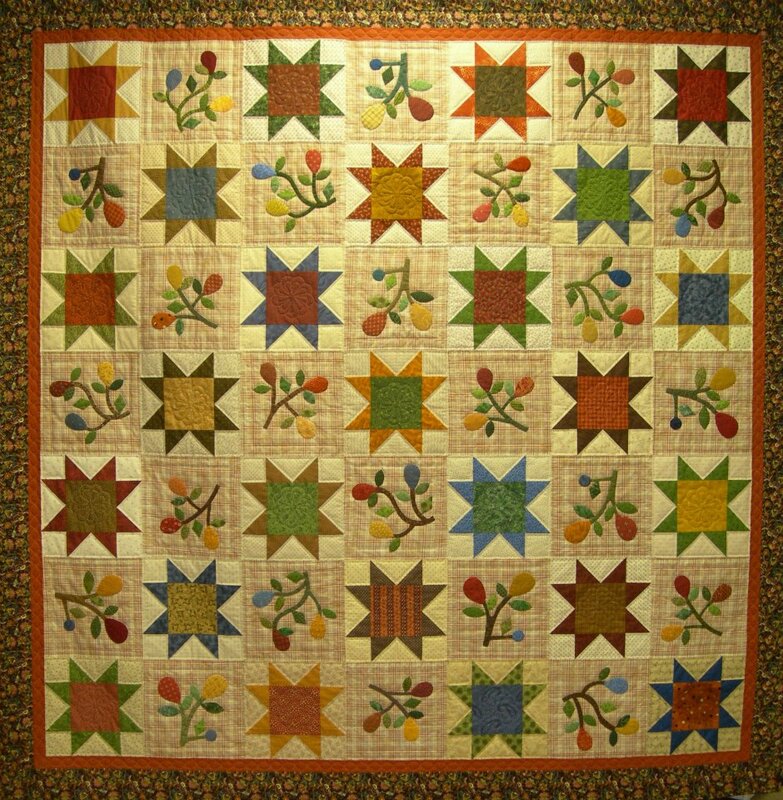 While this is not a true charm quilt of the period, where every piece is of a different fabric, it gives the impression of great variety. 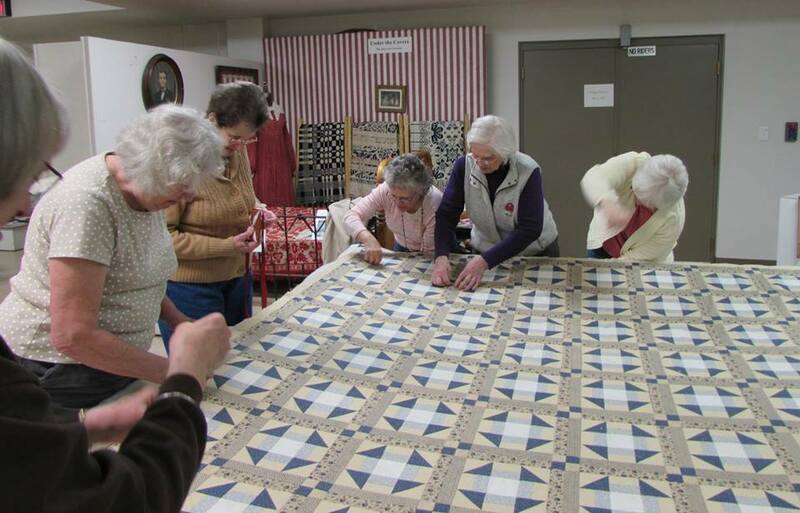 Work is continuing on the 2017 quilt. 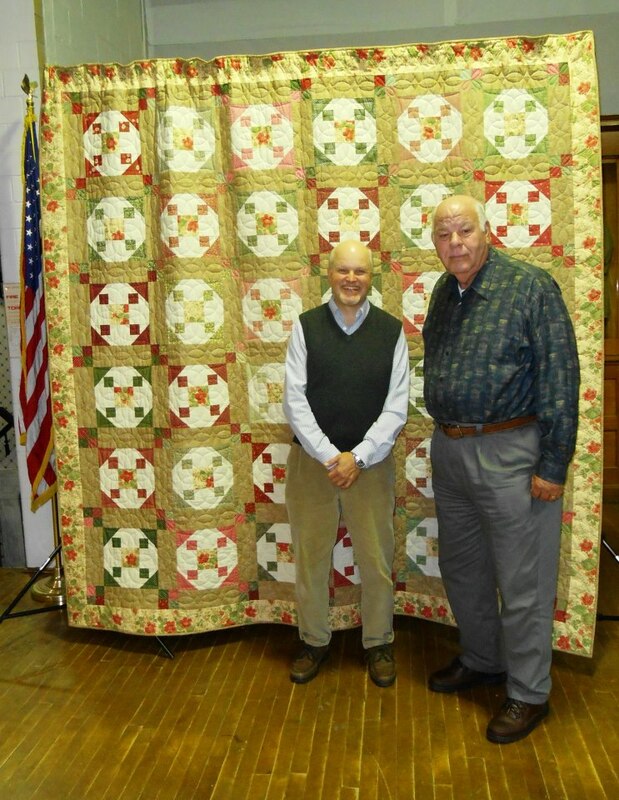 The Heritage Quilters meet Wednesday mornings at the McHenry County Historical Society Museum, 6422 Main St., Union.